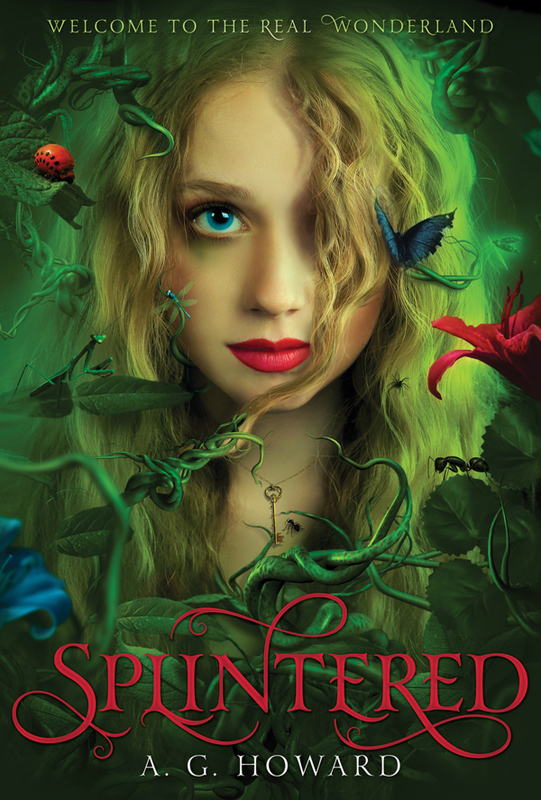 Splintered, by A. G. Howard (book review) – Alyssa in Wonderland, forever? Wonderland was never as benign as the animated Disney movie version led us to believe! Even the newer movie of Alice’s return to Wonderland isn’t as life-and-death gritty as what Alyssa finds when she goes down the rabbit hole, trying to break the Liddell family curse of madness. Got a favorite Wonderland character to share? Book info: Splintered / A.G. Howard. Amulet Books, 2013. [author blog] [author site] [publisher site] Review copy and cover image courtesy of the publisher. My book talk: If hearing plants means you’re crazy, then soon Alyssa will be as insane as her mother, unless she can make the treacherous journey to a forbidden place that could save them both or doom her forever. It was her great-great-great-grandmother whose dreams inspired Lewis Carroll’s Alice in Wonderland, and the Liddell women have been cursed with madness ever since. Dad had to put Alison in a psychiatric home when he found her snipping at little Alyssa’s hands with garden shears. Of course, he couldn’t hear the flowers whispering or know that Alyssa was just trying to protect them. A car wreck is the convenient explanation for her scars, for Mom’s crazy talk at Soul’s Asylum. Alyssa can ignore the everyday whispers of flowers and bugs, but not the enormous moth in her dreams who promises release from their madness. Too bad her best friend Jeb won’t keep his promise to go with her to England, preferring the company of beautiful, rich Taelor. Her long-ago memories include dreams of a little boy in a strange land, who has grown up to become that moth in her dreams! Morpheus says that Alyssa can break the curse and save her mother, if she’ll just bring back what Alice Lidell took from Wonderland, things that Alison hid in their house. even when nothing is as it appears and not everyone wants the wrongs made right! ← SYNC audiobooks – humorous reads!